What's Wrong With the Woeful Edmonton Oilers' Power Play? What’s Wrong With the Woeful Oilers’ Power Play? The Edmonton Oilers are on a near-fantastic run since Ken Hitchcock took over as head coach. 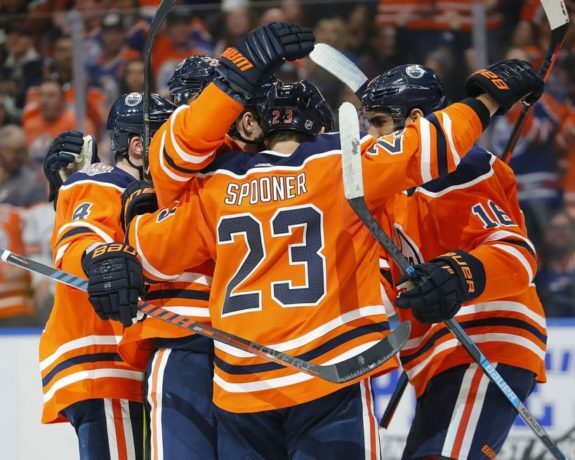 He earned his seventh win in 10 games behind the bench on Sunday when the Oilers disposed of the Calgary Flames in a 1-0 victory that could have easily been 3-0 with a friendly bounce here or there. It was another solid win and a shutout for a goaltender (Koskinen) who is absolutely on fire and climbing up the standings for netminders in the NHL. But, part of the team’s stat line of that game will show that the Oilers were 0-for-3 on their power play which now makes the team 0-for-15 in the month of December. Overall, Edmonton sits at 17th in the NHL standings for power play percentage at 18.8% success rate. It’s an area that needs improvement and you can be sure coach Hitch — who seems to have a magical answer for everything in his media press conferences — will be working diligently on a solution. If we look at the past few games, can we assume we know what Hitchcock is thinking beyond what he said before the Oilers headed off the play the Colorado Avalanche? When the team is 7-2-1, there are clearly positives. But, a coach like Hitchcock is likely always looking at ways to improve results. When asked the question about his power play after practice on Monday morning, Hitch said he believed the team was at 60% of what the team was capable of. Calling that just “ok”, Hitchcock noted there was a marked improvement where the team needed to get better. He wasn’t worried about the quality scoring chances because he felt they were there. It’s the finish that hasn’t been. That lack of finish has led to some frustration and — while he didn’t say this, one has to assume he’s thinking it — if the team doesn’t find a way to take advantage of those scoring chances, they’ll need to be cautious that some of these one-goal games won’t keep falling in their favor. Hitchcock pointed directly to the lack of practice time the team has had to work on things. On Monday, another optional practice meant more than a dozen regular players were not on the ice before the team headed out of town. That doesn’t create an opportunity to work on things. Hitchcock believes that once the team has a chance to focus on it in practice, things will improve as everything has when they’ve gotten the chance to break it down with the players on the ice. And, What About Until Then? Edmonton will play Colorado on Tuesday night. They won’t have a chance to work on the power play before that game. What that means is that the Oilers will have to rely on what Hitchcock called 80%-90% effort but 60% execution. Not a bad thing when you have the likes of McDavid and Leon Draisaitl on the ice. Until Edmonton can really focus on what they’re doing wrong, the coaches may have to urge the guys to simply move around more. When the power play stands still is when it struggles because it’s much easier to check McDavid or Draisaitl when they stay stationary. The players should keep the opposition guessing. And since overcoaching skilled players on offense is a risk, the other advice Hitch might want to give is simply to shoot more often. Avoid trying to pass the puck into the net. One of the last power play goals scored by the team was an Alex Chiasson rebound that he collected after the traffic in front of the net lost sight of the puck. Get the puck on net, get traffic in front, and maybe good things happen. There is one important thing to remember before anyone over-analyzes the power play struggles of the team. For every two power plays that have looked awful, the Oilers have had one that’s looked dangerous. In many cases, the team just hasn’t gotten the bounces. Whether a lack of finish is an accurate assessment of the issue and/or there truly are areas that need improvement, the Oilers could also use a friendly break. 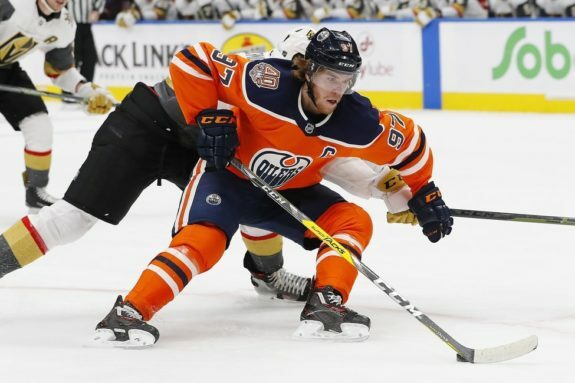 Such was the case again versus Calgary where two of the three man-advantages did not look strong but one looked incredible with four shots on net and one one-timer off the iron by Connor McDavid. At the end of the day, perhaps the coach isn’t as worried as some because the bounces haven’t gone Edmonton’s way and that can’t last forever.